The overall goal of these 2018 trends appears to lead the marketplace to reduce complexity and cost and justify the cost of automated systems and robotics. With lower cost, robotics will become more economical, even for smaller companies looking to become more competitive. 3. 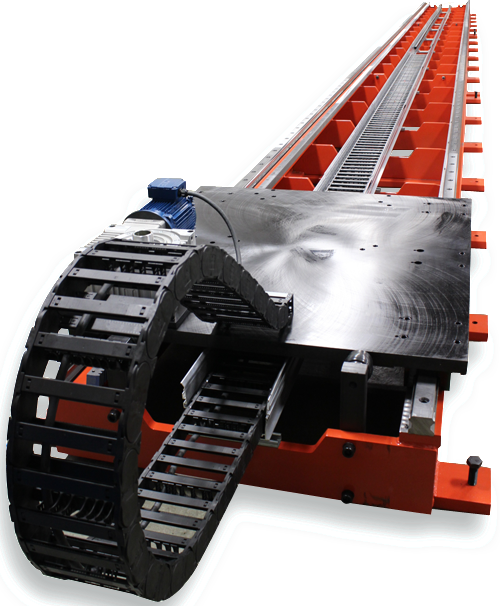 The demand for 7th axis or flexible linear tracks for robots continues to grow. Why? Companies realize that using a robot for only one task is not efficient use of floor space, and production can be slower and limit the products manufactured on a production line---thus return on investment takes longer to achieve. Companies installing robots on 7th axis robot transfer units have sped up production, decreased the need for additional floor space and reduced the amount of time required to prove return on investment for each robot.Another advantage to seventh axis robotic slides is that more than one robotic arm can be placed on the same slide for additional productivity and flexibility. 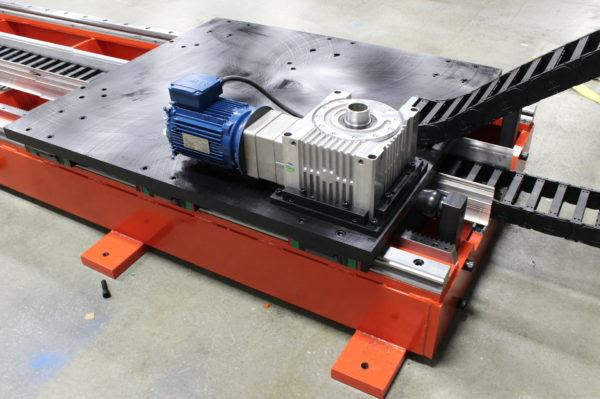 The automotive, aerospace, packaging, solar/wind, medical, consumer goods industries, and more, are starting to incorporate linear robot transfer units into production lines. By integrating these 7th axis slides into a production environment--- one robot will handle more than one assembly task. These tasks could include: loading/unloading, palletizing, product picking, moving products to another production line, welding, assembly and more. In order to address the growing needs of manufacturers that are looking to integrate robots on a linear robot transfer unit, LazerArc has begun manufacturing the customized 7th Axis Slide, or Robot Transfer Unit to fit a company's application. To guarantee longevity of the unit, LazerArc provides heavy-duty design to address this issue. It is equipped with high-precision helical rack and pinions that can handle the high dynamic loads and required accuracy. LazerArc's line of Robot Transfer Units are manufactured in floor mounted, elevated or inverted configuration. LazerArc offer the highest precision guardrails, rack and pinion system and closed loop motor control system so companies can manufacture the best product possible. To extend the reach of the robotic arm, it is placed on a support carriage on a seventh axis slide and rack and pinions re chosen to drive the axis. Using rack and pinions in their modular base design could achieve the unlimited travel lengths achieved by mounting them end-to-end. The LazerArc Robot Transfer systems are capable of fitting into your automated robotic systems, whether it is a material handling job, paint, and assembling or welding application. All of the units can be adapted to your specific servomotor or robot brand. LazerArc's RTU - 7th Axis system can also be engineered to any length that the customer requires. The design incorporates machined keyed ends that allow for sections to be added or removed easily, when repurposing. Utilizes a direct drive gear reducer and gear rack to achieve higher accuracy and better performance with less components. The robust tubular steel construction is "Made in USA"